Deli cases 48s & 72, prep tables 48s & 60, 60 quart Hobart mixer, slicers, stainless steel freezer, glass door coolers, glass door freezer, Hobart undercounter dishwasher, Taylor soft serve, charbroilers, flat griddles, lowboy refrigerated chef tables, Blodgett combi-therm full size & half sheet, half size electric smoker, warming cabinets, cook & hold Alto Shaam, 27″ flavor rail, ice cream dipping cabinets, open air merchandisers, Starbucks type combo grab n go bakery case, 7 X 7 WALK IN COOLER, 7 X 7 WALK IN FREEZER, and more! One Fat Frog Restaurant Equipment offers and easy financing program for both established restaurants and start-ups. Good credit and bad credit is welcomes – you can get you approved no matter what. 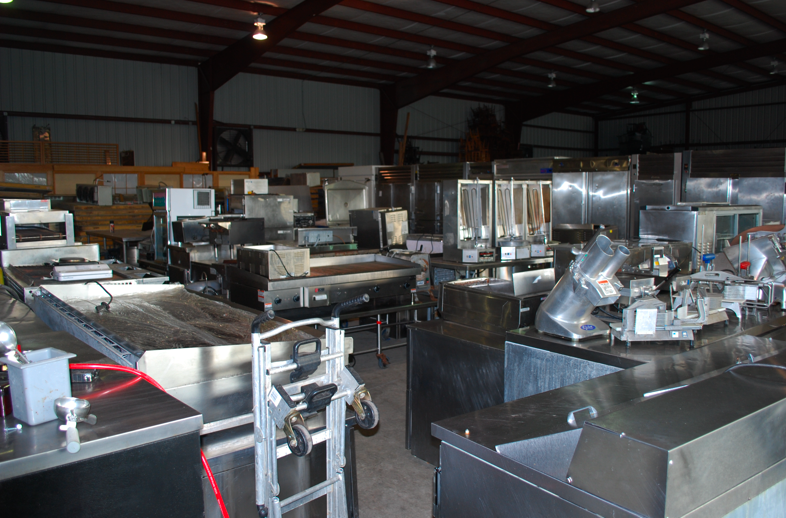 One Fat Frog Restaurant Equipment also welcomes quick cash and package deals towards the entire stock of used commercial restaurant equipment. One Fat Frog Restaurant Equipment offers free delivery to more parts of Florida than any other dealer! Come by One Fat Frog Restaurant Equipment today!